In response, a bipartisan group of House and Senate health committee leaders is sending their colleagues in Washington a clear message: vaccines save lives. “As Members of Congress, we have a critical role to play in supporting the availability and use of vaccines to protect Americans from deadly diseases,” they wrote in a letter released Tuesday and signed by six key legislative voices on public health issues, including Republican Senator Lamar Alexander, and Democratic Senator Patty Murray. The letter doesn’t call out Trump by name, but it does clearly paint the growing movement against vaccines as dangerous. Indeed, as the anti-vaccine movement has spread, we have seen a resurgence of diseases once thought to no longer be a problem in America. The spring of 2015 saw the first death from measles in the United States in 12 years. That same year, vaccine refusal helped spur a measles outbreak at Disneyland. This week a story in The Washington Post reported that in parts of Texas, where the anti-vaccine movement has thrived, vaccine coverage is slipping below the 90 to 95 percent levels needed to prevent disease outbreaks. 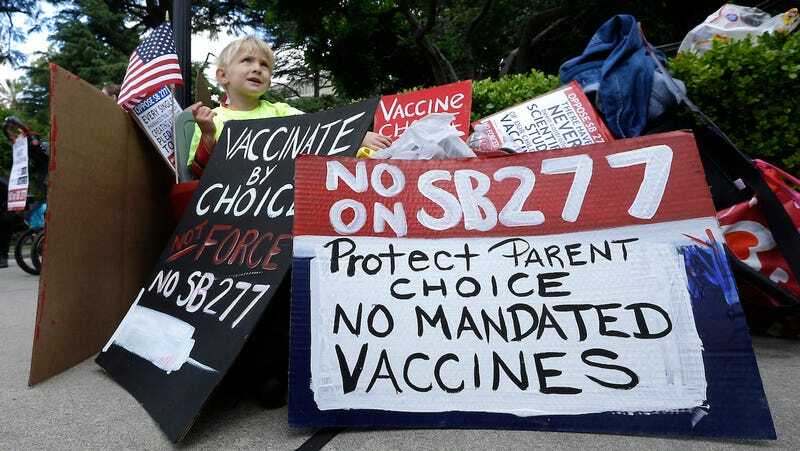 There is a preponderance of evidence making clear that vaccines are safe, but this fringe movement rooted in debunked science is now actually threatening public health and safety. And the White House, in lending an ear to the movement’s leaders, has given it a broader platform. Truly, this is terrifying. Encouragingly, the letter implores fellow members of Congress to stand up to all this malarkey. “It is critical to recognize the importance of protecting public health against vaccine-preventable diseases,” the letter reads.